Maya Bay made famous by the movie The Beach offers scuba divers multiple dive locations depending on experience. 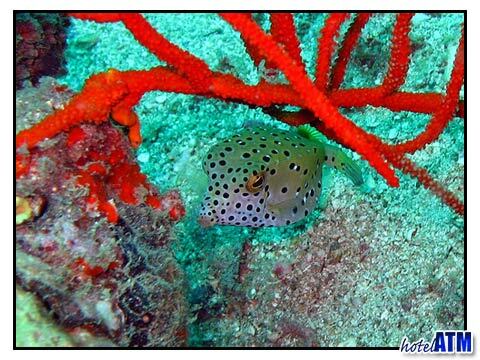 The bay is a very popular snorkeling spot but is good for new, less experienced divers and even dive training. For more experienced divers, the Maya North Wall is especially recommended. Maya Bay was made famous by the movie The Beach in early 2000. These days visitors come looking for the deserted paradise that the movie portrayed. The natural beauty of the island is breathtaking and although it can get crowded during some times of the year it’s certainly well worth a visit. The best way to experience the island as it was portrayed in the film is to spend a night there. Once all the day trip boats have left there’s a new kind of magic which comes out with the stars. The limestone rocks which circle Maya Bay are full of cracks and crevices that are teaming with marine life and scattered amongst the sand are coral bommies. There are also some small swim-throughs and small caverns to explore. This is another area with a large amount of boat activity so it’s important to always be aware of what’s above you and to use a SMB (surface marker buoy) during your ascent. For the more experienced diver, Maya Bay gets even more interesting once you get just outside Maya Bay. The walls on either side of the entrance to the north and to the South make for popular dive sites although the Maya North Wall is more frequently dived and has several mooring lines along its length which make for convenient ascent and descent lines if you prefer. 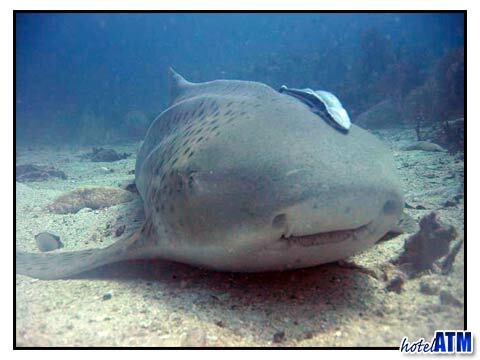 Although at the start of the dive you may drop down to a maximum of 30m just to see if there are any leopard sharks on the sandy bottom but the majority of your dive will be at around 15-20 meters where all the action is. A frequent highlight of this wall dive can be found around the most northerly mooring line where groups of Black Tip reef sharks cruise around. It’s also a good spot to look out for more Leopard sharks and Turtles.